When he recently came into NEBTR, it was noted that " little Bruiser is 1 year old..very sweet but very nervous and shakes : ( He needs consistency and security. He is good with his former owners' dogs and kids." 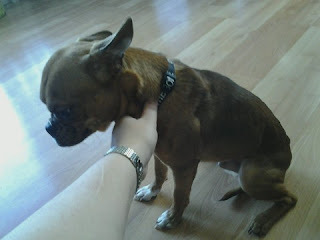 His name was Bruiser and take a look at his sad little picture! They said he has 1/4 beagle but looks like something else, like a fawn BT. 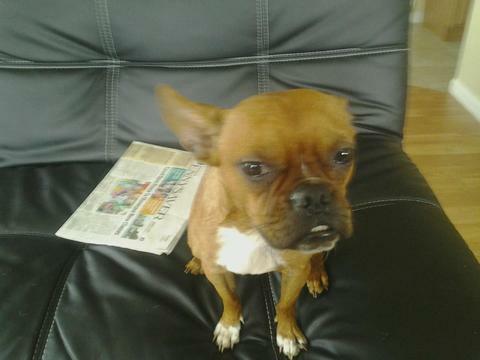 He sure is cute and you can see that Bt snout and he just looked sad when puppies should be happy! The poor guy had seen too many places in his short life. He was taken to the home of Maria Pastusz, whose family immediately fell in love with him. 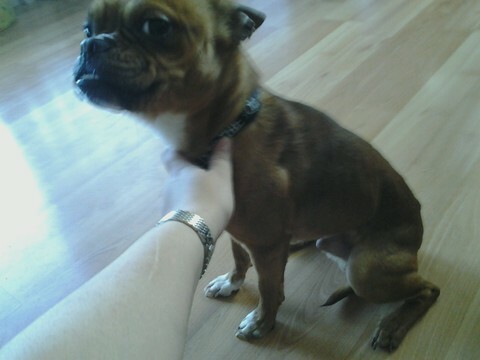 Now he is Gizmo. Maria wrote, "Gizmo is a keeper! He is a fast learner. 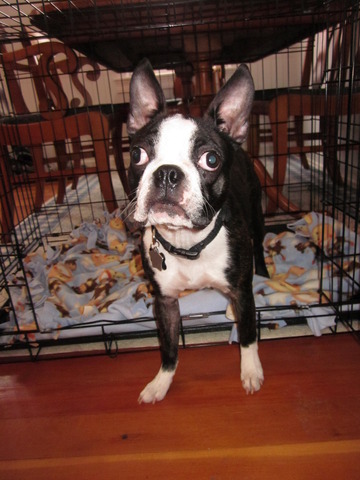 He woke up this morning went tinkle and ran to his giant crate in the living room where he knew he had water, food and a fuzzy blanky. Then he chewed a bone with pnut butter inside and his tail was wagging the entire time. He is grateful and humble and going to be a real star in our lives. Whatever a boglin is beagle/boston we'll love him! God bless and thank all those that made this possible! We can't thank you enough! This group is amazing!" Now Bruiser, who is now known as Gizmo, will know nothing but love and care for the rest of his days. Thank you, Maria, for opening your heart and home to him! 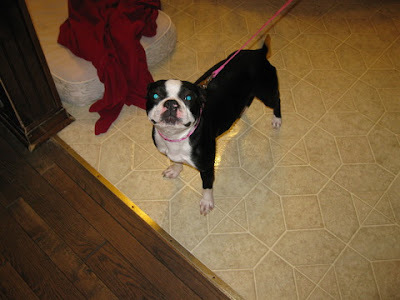 I picked up my new foster Dottie last night. She is approx. 1 year old, female and quite the bundle of energy. So far she has adjusted well to being in a new place and in a crate so I think she will do just fine. I have attached some pictures and will keep you all posted on her progress. Wendy - thank you so much for taking her in! We look forward to updates on this lucky girl! 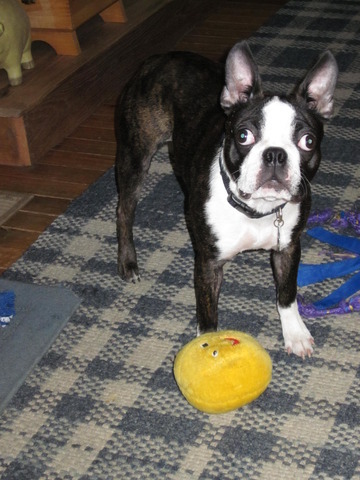 NEBTR gratefully acknowledges the very generous gift from the Boston Terrier Tea Party Rescue. 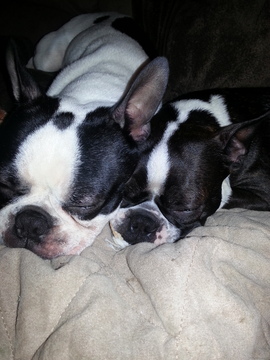 Thank you so much for thinking of our Bostons in need! 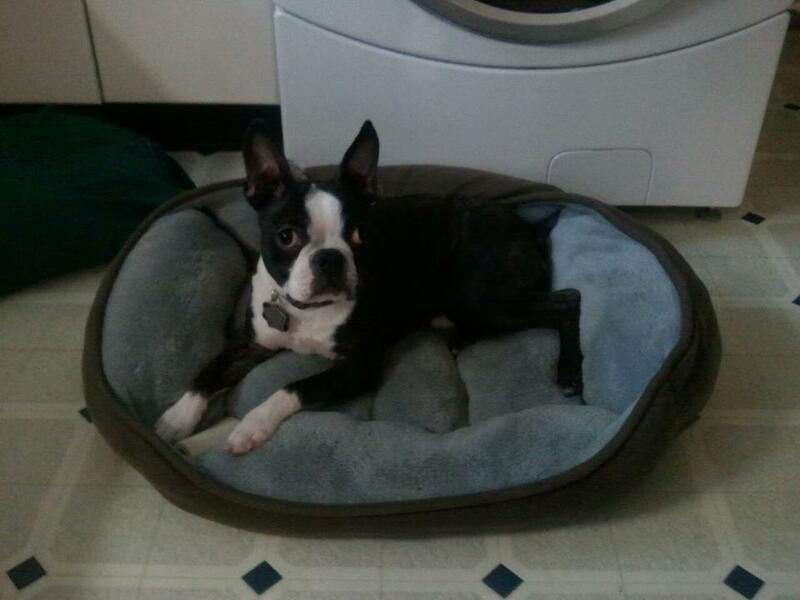 Niko is a 7 month old pure bred Boston Terrier born on 5/23/12. He is neutered, and UTD on all shots his wt. is 16-17 pounds. He knows how to sit and is house trained to sit/scratch at the door to go out.He has lots of energy,and plays good with other dogs. He is being surrendered because he needs more attention than his current family can give. He is currently begin fostered in Mechanicville N.Y. Thank you James for opening your home and heart to this boy. He is adorable! Congratulations to Daisy and Austin, who have graduated from their basic obedience course! And best wises too to proud mama Charo Evangelista! My husband and i became FB friends with a couple who adopted a pup from NEBTR his name is Norman. Well we finally were able to work out our schedules and we got to meet Kathy, Mike and Norman. I have to say you guys did an amazing job of finding Norman the perfect home. Mike and Kathy are amazing with Norman. He is an adorable tiny little brindle boy. Such a bright little guy. I hope all the pups in the rescue can get as amazing parents as Norman did . They are absolutely the best. Thanks for all you do for these guys.. Norm is a testament to all you do for these guys. 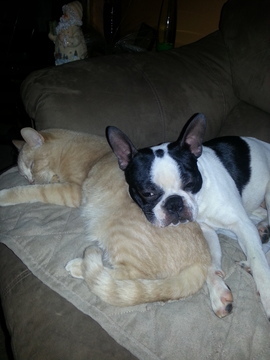 I was Norman's foster and you are right, Mike and Kathy are the perfect home for him. They were dedicated parents right from the beginning, they drove 5 hours (each way) to pick Norman up, even though I offered to meet part of the way, they did all the driving because they didn't want Norman to be anxious. He was such a sweetheart that it was really difficult to part with him but I just knew that he would be going to the best home. And he did! I feel honored to have been just a small part of Norman finding his perfect home and proud to be part of a rescue that puts the needs of these sweet dogs first. Rocky is doing well. 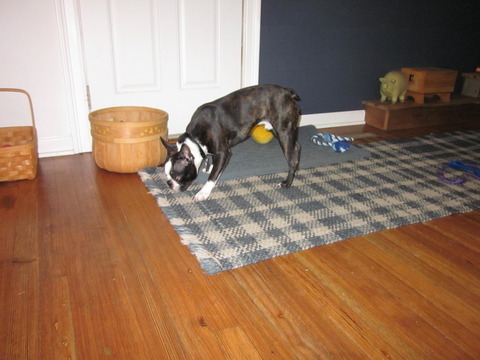 He is doing great with house training and has calmed down as you'll see in the pics! I am very happy with how things are going...I was worried about my Ozzy (BT) accepting a foster, but he's doing great! 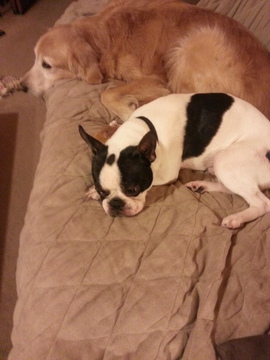 And very tolerant of an 11 mo puppy jumping on him while he's sleeping! Rocky is getting neutered on Monday. If all goes well he should be in his new home shortly!